Here are just a few of the great things being said about our sheds, service, and craftsmanship! I just want to thank you for your quick response on my Backyard Building.It would be great if more companies would treat their customers as you do. I will recommend your company anytime! You stand behind your product! Steve is a good man. He did a good job! Last week one of your builders built an 8x12-foot shed in our backyard. We are very pleased with the shed and the whole experience. It looks great and is very sturdy. The builder was efficient and professional. Just wanted to let you know I'm real happy with the shed I purchased a month ago. Many Thanks to you and the installer. 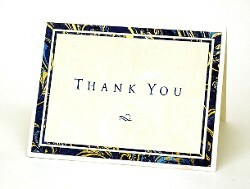 I wanted to take the time to thank you for the outstanding service and great product provided by your company! I had a 10x12 Americana shed installed on 6-19,and was so impressed by how easy the whole process was and how great Donna (who took my order over the phone) and Steve W. (the installer) were! The shed looks wonderful, and it was a great value compared to the other options we investigated. I will definitely recommend your company and products to others! THANK YOU. I was at the State Fair just one week ago today and purchased a shed from Dave on August 24th. Dave was friendly,honest and knowledgeable. I asked some pretty direct questions and Dave came thru with flying colors. I purchased the Americana shed 10x14x11. I have to tell you how impressed I am. The price was the best I found anywhere. I checked at all the big name stores, Home Depot,Menards, & Lowes. Only one came close in price BUT, That did not include installation! This shed is perfect. It was built by one of your installers,Steve W..He was professional, courteous and a true craftsman. I would strongly recommend your company to anyone who is in need of a top quality shed. The pictures do not do justice. This was the best money I have spent all year. I honestly do not know how you do it. It is refreshing to see something that seems too good to be true,TRUE! Please feel free to have any customer that is on the fence about purchasing a new shed from you contact me directly, I would be happy to tell them myself, what a great product you have. Again, Thank you for your honest and good work. 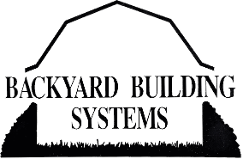 We would like to thank your entire staff for the recent install of our 12x12 yard shed. I am not impressed very easily, but that being said, I could not believe the quality of our shed as well as how it went up in one day! Watching Guy K. put up our shed was a lesson in craftsmanship! If you can take time to watch this man work, do it! It is inspiring! I can tell you now that price wise you blew "Big Box" stores out of the water!